Dave Weller, Southwest Fisheries Science Center/NOAA | WhaleTimes, Inc.
Dave Weller has nearly 25 years of experience studying the biology and ecology of marine mammals. Dr. Weller’s specialization is focused in the areas of behavioral ecology, population assessment and evaluation of potential disturbance impacts from human activities. 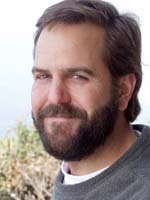 He presently directs two well-established research programs that include: 1) an ongoing study of the behavior, ecology and population dynamics of a critically endangered population of western Pacific gray whales off Far East Russia; and 2) an ongoing study of the behavioral ecology and population dynamics of coastal bottlenose dolphins off California. Recently, he has been working closely with the International Whaling Commission, World Conservation Union (IUCN), U.S. Marine Mammal Commission and a variety of national and international academic institutions on issues related to the conservation and management of endangered whale and dolphin populations.